Why Were Some Early Christians Giving Up Work? Well, I never suspected that about those idlers condemned in 2 Thessalonians. What is going on here? One suggestion I came across recently (okay, maybe I have been the last to know) is that some among the Thessalonian converts had gone the way some always seem to go when possessed of apocalyptic fervour, expecting the end of days and coming of the Lord any day now. I stumbled across this possibility as the explanation for “idleness” among the Thessalonians in Michael Goulder’s 1992 article, “Silas in Thessalonica” in the Journal for the Study of the New Testament 15, 87–106. 1. The link between 5.14 and 4.11-12 is made by J.E. Frame (A Critical and Exegetical Commentary on the Epistles of St Paul to the Thessalonians [ICC; Edinburgh: T. & T. Clark, 1912], pp. 196-97) and approved by Holtz (Der erste Brief an die Thessalonicher, p. 251). A connection with the parousia theme is suggested by the phrase following in 5.14, ‘comfort the όλιγοψΰχους’; cf. 4.18, 5.11, ‘comfort one another’. 2. There is adequate evidence from the papyri for the meaning ‘idler’; see J.E. Frame, ‘οί άτακτοι, I Thess. 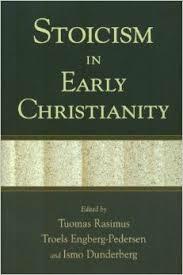 5.14’, in Essays in Modern Theology and Related Subjects (Festschrift C.A. Briggs; New York: Charles Scribner’s Sons, 1911), pp. 189-206. Holtz says correctly that their motive in Thessalonians is far from being idleness; and he comments that even if 2 Thessalonians is not by Paul, this seems to be an especially Thessalonian problem, Der erste Brief an die Thessalonicher, p. 241 n. 536. The new converts have given their money away in a burst of excitement. This is a sign of the Holy Spirit (1.5; 4.8) and it is marvellous; but in their enthusiasm some of them have given up work. No doubt they did this so as to attend to the distribution of funds to the poor of their and other churches, and to healing services, spreading the word, and so forth. 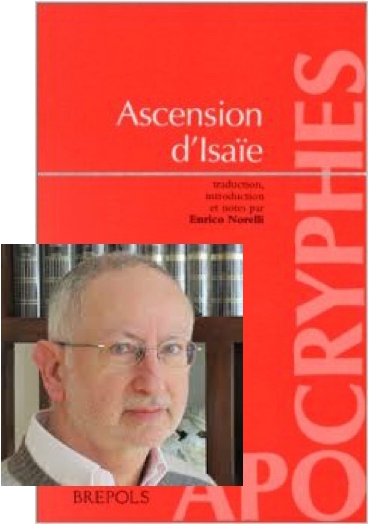 Paul had to tell them to cool down (ήσυχάζειν); to leave church affairs for a while and ply their own trades (πράσσειν τά ϊδια); and to work with their hands rather than expect God to provide all by prayer. Anyone wishing to harmonize the gospel of John with the Synoptics will have a great deal of trouble explaining the beginnings of Jesus’ career. In the Fourth Gospel, on his way back to Galilee, Jesus has already poached many of John the Baptist’s followers. In fact, he has started up his own dunking franchise, luring away John’s customers. 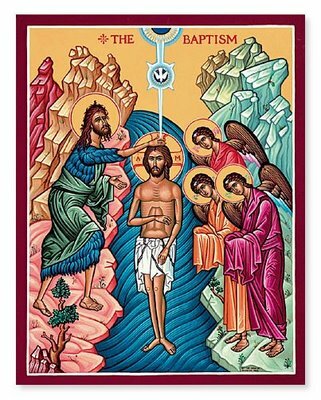 However, in the Synoptics, after Jesus’ baptism, the spirit drives him into the wilderness, where he sits in solitude. He hasn’t even met any of the Twelve yet. Such differences might compel us to posit that the two origin stories have so little in common that they must emerge from wholly unrelated traditions. And yet if we look just a bit harder, we see some common threads, at least on a symbolic level. Chains of tradition buttressing the right to rule the school were commonplace among the Greek philosophers. Each of these “chains” shares an odd common trait with the others: no matter what the actual chronology may be, each chain of tradition is fourteen links from the founder to the newest head of the academy. It does not make any difference whether those fourteen generations took one hundred years or five hundred years— accuracy in counting years is not the point. Getting from the newest head of the academy back to the founder of the school in but fourteen links is what it’s all about. This oddity also can be observed in the New Testament, where Jesus’s lineage is traced in groups of fourteen (father to son, rather than teacher to disciple). And were we to laboriously count out the chain from Moses at Sinai to Rabbi Yohanan and his disciples, we’d get the same magic number: fourteen. No one knows why fourteen seems to be the “correct” number of links, but Pirke Avot joins with all the philosophical schools in tracing its newest leader’s lineage back to the founder in fourteen generations. Moses received the Torah from Sinai and gave it over to Joshua. the Men of the Great Assembly. . . .
Shimon the Righteous was among the last surviving members of the Great assembly. . . .
Antignos of Socho received the tradition from Shimon the Righteous. . . .
Yossei the son of Yoezer of Tzreidah, and Yossei the son of Yochanan of Jerusalem, received the tradition from them. . . .
Joshua the son of Perachia and Nitai the Arbelite received from them. . . .
Judah the son of Tabbai and Shimon the son of Shotach received from them. . . .
Shmaayah and Avtalyon received from them. . . .
Hillel and Shammai received from them. . . .
Rabban Yochanan the son of Zakkai received the tradition from Hillel and Shammai. . . .
Rabban Yochanan the son of Zakkai had five disciples: Rabbi Eliezer the son of Hurkenus, Rabbi Joshua the son of Chananya, Rabbi Yossei the Kohen, Rabbi Shimon the son of Nethanel, and Rabbi Elazar the son of Arach. Matthew 1:17 — Thus there were fourteen generations in all from Abraham to David, fourteen from David to the exile to Babylon, and fourteen from the exile to the Messiah. 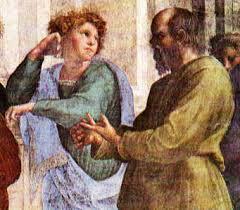 I would be very interested to see examples of the fourteen teachers/pupils links among the Greek philosophical schools. Is there anyone who can help locate instances of that tradition? 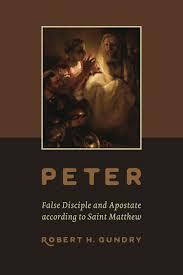 Peter as Apostate Apostle in the Gospel of Matthew? Matthew portrays Peter as a false disciple of Jesus, a disciple who went so far as to apostatize; that Matthew does so to warn Christians against the loss of salvation through falsity-exposing apostasy; that this warning fits the Matthean theme of apostasy-inducing persecution; and that the danger of apostasy fits the further Matthean theme of the ongoing presence of false disciples in the church . . . till the end. That’s quite a daring proposal for most of us who have long viewed the Gospel of Matthew as the one gospel that does more than any other to exalt the role of Peter in the foundational history of the Church. Some of us have wondered if the Gospel of Mark was meant to be having a dig at the disciples for their faithlessness, and some have seen the Gospel of John as subtly suggesting that Peter’s spiritual qualities were somewhat inferior to those of “the Beloved Disciple”. But the Gospel of Matthew (henceforth “Matthew”) is famous for Jesus pronouncing that he was giving Peter the keys of the Kingdom of Heaven and “upon this rock I will build my church”. So any suggestion that Matthew viewed Peter as an apostate is going to have some explaining to do. We have recently seen how Hector Avalos argues for the irrelevance of biblical ethics in today’s world but this post looks at how and why Jesus emerges for the first time as a supremely ethical figure in the Gospel of Matthew. Stanley Stowers (Professor Emeritus of Religious Studies at Brown University) argues that the author of this gospel refashioned the Jesus in the Gospel of Mark into a Stoic sage and thereby was responsible for giving the Christian world its figure of Jesus as the defining moral teacher of all time. And a Stoic sage, a truly godly person, might at times appear to act against worldly understandings of right and wrong but nonetheless maintain a truly virtuous authority. 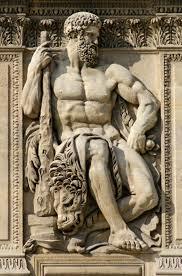 either doubted that a sage had ever lived or thought that maybe one or two had existed — perhaps Socrates, Heracles, or the earliest humans. Philo of Alexandria makes Moses into such an authority, a sage who embodies the law. (2010-11-01). Stoicism in Early Christianity (Kindle Locations 1658-1659). Baker Publishing Group. Kindle Edition. That’s not exactly a definition of a Stoic sage but it does prepare us for the distinctive portrait of Jesus that we find in the Gospel of Matthew. Before we can plunge into more details about this sage we need to grasp the broader argument that Matthew was creating an idealistic Stoic teacher figure for his gospel despite sometimes being challenged by some very unStoic Jesus passages in his Gospel of Mark source. Since reading Stowers’ argument I have come to think that this explanation potentially accounts for a significant number of the differences between the Gospels of Matthew and Luke that till now have widely been understood as evidence of differences in the ways two authors have used a common source, Q. But I am jumping ahead of myself here. 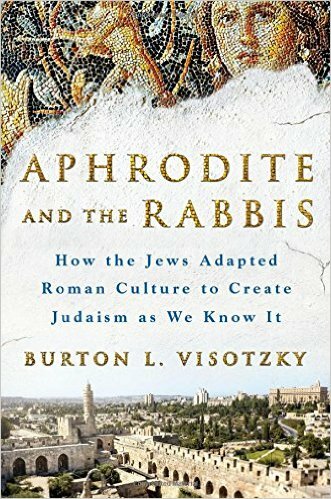 In the earliest sources, the only sources that precede and are not definitively shaped by the Roman destruction of the Judean temple and Jerusalem, one cannot even determine that Jesus was a teacher of ethics. If Paul knew that Jesus was such a teacher, he does not use either the teachings or the idea that Jesus was a teacher of ethics, even though the teachings from the later Matthew and Luke would be very relevant and overlap with his own teachings. (2010-11-01). 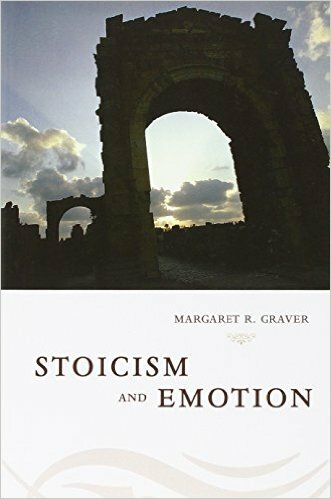 Stoicism in Early Christianity (Kindle Locations 1597-1601). Baker Publishing Group. Kindle Edition. We do not know what those teachings were. Our sources are as confused as we are and two of them, Mark and Thomas, indicate that they thought his public teachings basically incomprehensible. Paul shows no interest in them, nor do the other letter writers of the New Testament, and Jesus’ teachings play no role in the spread of the Christian movement according to the Acts of the Apostles. John freely makes up teachings for Jesus to teach. . . .
Two of our principal sources of information about Jesus did not believe in Jesus the Teacher at all. Paul refers on occasion to teachings, generally as proof-text support for his own opinions, but Jesus the Teacher is otherwise of no interest to him. Paul swears to the Galatians “Before God I am not lying!” that he made no effort to learn about Jesus and his teachings from the eyewitnesses easily accessible to him (Gal. 1: 1-2: 15). John’s gospel, similarly does not contain the teachings of Jesus as that phrase is understood in contemporary scholarship. . . . It might be argued that Jesus was a great teacher but, thanks to radical changes in his followers’ view of him after his death, his teachings were no longer relevant to their enterprise. But Q, Thomas, Matthew, Mark, and Luke (in the Gospel) do give us teachings; indeed, it may well be that the very idea that Jesus was primarily a teacher came into being only after his death. 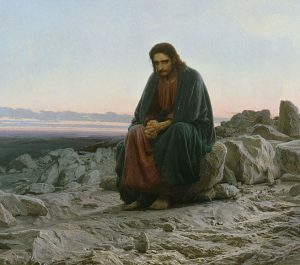 Mark presents Jesus as a teacher of mysterious teachings about the coming kingdom of God, a mystery so obscure that none of Jesus’ disciples are able to understand it. Jesus in Mark is about as remote from a guide about how one ought to live day to day as one can imagine. (2010-11-01). Stoicism in Early Christianity (Kindle Locations 1604-1605). Baker Publishing Group. Kindle Edition. Is the Sermon on the Mount private instruction? Luke’s Jesus does not hide his light under a bushel. He lets everyone know who he is. We can see the extent to which Luke has embraced this public, openly messianic Jesus even in the way he teaches the crowd. Wrede makes the point that in Matthew, much of the instruction Jesus imparts to his disciples remains private. The Transfiguration, the prophecy of the passion, the meaning of parables, the “question about the last things,” etc. happen away from the crowds and sometimes away from the majority of the disciples. But that’s not all. We may also mention that even the Sermon on the Mount is regarded as instruction of the disciples. 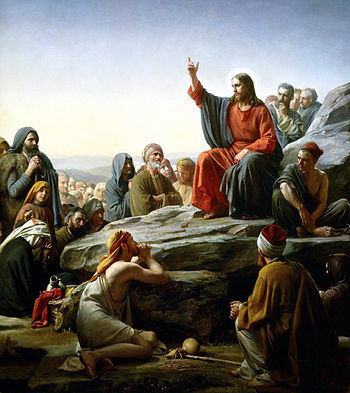 For according to 5.1, when Jesus sees the crowds, he goes up the mountain and then the disciples approach him[*] in order to receive his teaching. This, of course, is again forgotten at the end of the sermon in 7.28. Why Was the Gospel of Matthew Written? 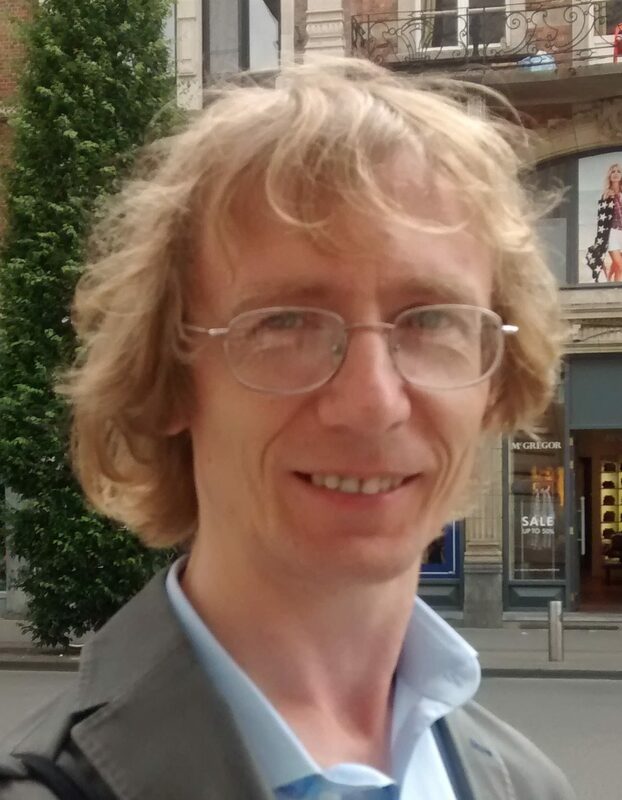 Michael Goulder’s thesis that the Gospel of Matthew was composed specifically to be read out week by week in churches (assemblies) may not have been widely adopted yet I am convinced that the core of his arguments is worth serious consideration. 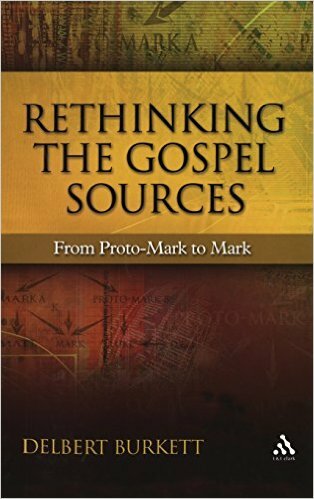 Of course Goulder applies his thesis to the Gospels of Mark and Luke, too, but I focus here on Matthew. Here is the essence of Goulder’s argument as he himself sums it up in Five Stones and a Sling: Memoirs of a Biblical Scholar (2009). I also build on a simplified table Goulder uses to illustrate his argument in The Gospels According to Michael Goulder: A North American Response (2002). Let’s imagine the gospel’s story units were intended to be read serially, week by week, throughout the year, with thematically relevant units meant for their appropriate seasons (such as the resurrection story at “Easter”). If so, we would expect to begin reading the opening chapter of the gospel after Easter (or after the more Jewish sounding Passover/Wave Sheaf Offering). We would expect to find seven narrative units to coincide with the seven weeks leading up to Pentecost. The Gospel of Matthew opens with the story of the Magi following a star to find the baby Jesus,the gifts of gold, frankincense and myrrh, the flight into Egypt and Herod ordering the massacre of all infants near Bethlehem to be sure of getting rid of the unidentified newborn king. The Gospel of Luke could not be any more different, or so it seems. No Magi, no precious gifts, no flight into Egypt, no Herod or mass infanticide. Rather we have shepherds being directed by angels to find Jesus in a manger. The most common explanation for this narrative gulf between the two is that the author of the Gospel of Luke (let’s take a wild guess and call him Luke) knew nothing of the existence of the Gospel of Matthew and had quite different sources to draw upon to account for Jesus’ birth. It is impossible, the argument goes, to imagine Luke discarding such a dramatic and memorable story as found in Matthew’s Gospel had he known it. Michael Goulder disagreed and in Luke: A New Paradigm (1989) he published his reasons for believing Luke did know of the Magi and Herod narrative and deliberately changed it. First, notice the points that Luke has in common with Matthew. Mary ‘bore a son’ (έτεκεν υίόν, Mt. 1.25; Lk. 2.7). It was in Bethlehem of Judaea, as Micah had foretold (Mt. 2.1, 5f), and Matthew turns the citation in line with the prophecy to David, ‘You shall be shepherd of my people Israel’ (v. 6d, 2 Sam. 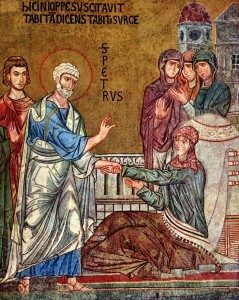 5.2); Luke says that Joseph went up to Judaea to the city of David which is called Bethlehem, being of Davidic ancestry, and Mary with him (2.4). In Matthew God brings a company of strangers, magi, leading them by a star rising in the sky; in Luke God brings a company of strangers, shepherds, summoning them by his angel, and the multitude of the heavenly host. When the magi saw the star, they rejoiced with exceeding great joy (έχάρησαν χαράν μεγάλην σφόδρα, 2.10); the angel brought the shepherds good news of χαράν μεγάλην for all the people (2.10). The magi come and see the child (τό παιδίον) with Mary his mother, and fall before him (‘when you have found him’, said Herod). The shepherds came with haste and found Mary and Joseph and the baby laid in the manger; and when they had seen, they made known the saying told them of the child (του παιδιού τούτου, 2.17). Magi and shepherds close the scene by returning whence they had come; and Luke then notes that ‘his name was called Jesus’ at his circumcision, just as Matthew says that Joseph called his name Jesus (1.25).